Sean Dorsey Dance’s new show The Secret History Of Love reveals the underground ways that transgender and queer people managed to find and love each other in decades past. This powerful dance-theater show is based on extensive archival research and Dorsey’s 2-year national LGBT Elders Oral History Project — in which he conducted and recorded oral history interviews with LGBT elders across the US. The Secret History Of Love features these elders’ voices and their remarkable life stories and love stories. 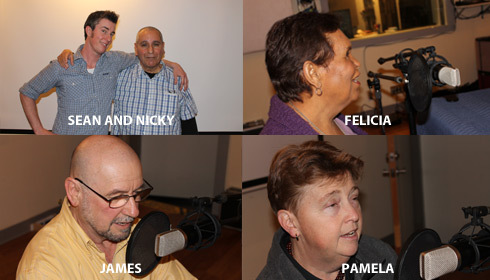 Many thanks to these incredible LGBT elders for their oral history contributions to the project: Felicia Elizondo, Nicky Frausto, James Green, Pamela Quiton, Diego Sanchez, Laura Godfredson, Frank Lapiana, Marilyn Monteiro and anonymous others. Thanks also to Openhouse, The Theater Offensive, Links Hall and the Queer Cultural Center for their great work and collaboration. The Secret History Of Love will tour to more than 15 cities and towns across the US — visit our Calendar Page to learn about our upcoming tours and Community Residencies, and contact us to inquire about tour booking. Join our email list to receive upcoming news about our work.